Students and Teachers Restoring a Watershed Program then came out with 111 volunteers, students and teachers (see photo below), who worked for six hours to plant 80 native trees. The area will be maintained and monitored for five years. One of the greatest resource challenges for California will be the management of water for people, industry, and ecosystems. California's RCDs are tackling this challenge with on-the-ground community led efforts. California faces a monumental challenge today and in the coming decades as it grapples with how to manage our water resources equitably for human consumption, for industry, and for habitat. Reducing water use will be one of the best ways to increase water security, and Resource Conservation Districts (RCDs) across the state are investing in small scale, on-the-ground projects to conserve water. Opportunities for conserving water go far beyond turning off the tap at the kitchen sink. Effective water conservation can also mean taking advantage of rainwater by creating better systems to store it during wet winter months, or improving the efficiency of existing water use infrastructure on farms. With the help of cooperative farmers, Marin RCD constructed four storage ponds to help keep creek water levels high for young Coho salmon to thrive. In Southern California, Temecula-Elsinore-Anza-Murrieta RCD (TEAM RCD) is helping farmers reduce their water consumption and reliance on irrigation overall by partnering with their local Water District to provide financial incentives and technical assistance to farmers. 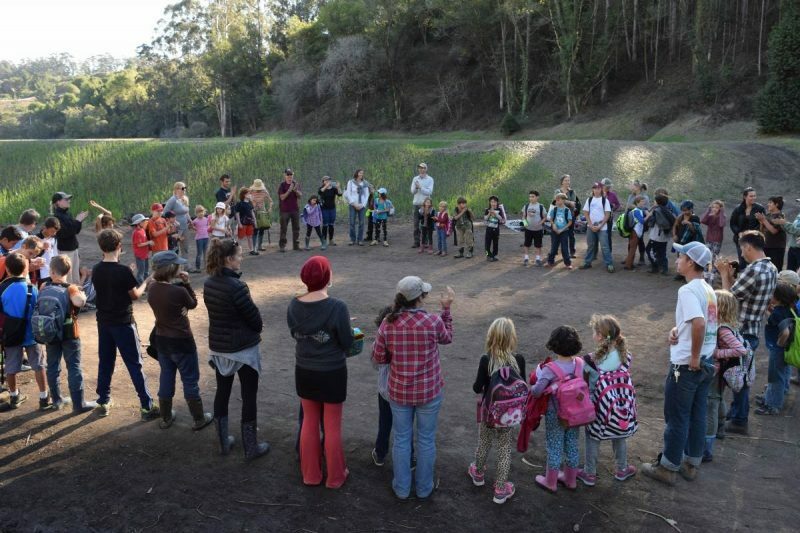 The Marin RCD’s Pine Gulch Pond Enhancement Project was a win-win for agriculture and fisheries habitat. The participating farmers now have more water storage capacity for their crops, and habitat conditions have been improved for young Coho salmon. Three organic farms in Bolinas—Fresh Run Farm, Paradise Valley Produce, and Star Route Farms—offered up their summer water rights to protect the Coho salmon fishery that spawns in Pine Gulch Creek. The farms traditionally irrigated their crops by pumping directly from Pine Gulch Creek, but since 2018, the farms no longer irrigate in the summer directly from the creek. One of the greatest threats to young Coho salmon in West Marin is low creek levels in the summertime. This is a time when Coho seek sanctuary in deep pools before growing to a stage when they are mature enough to survive in the open ocean. Sometimes the pools are too shallow or dry up completely, and the young fish die from lack of cool water. Dry summer conditions can be especially dangerous when farms or households are pumping from creeks that already have dangerously low levels of water in them. The four storage ponds on the participating farm properties draw water during the high-flow winter season for summertime use (a practice called water storage and forbearance), leaving adequate water in the creek for the Coho salmon during the dry season. Together the completed ponds hold 69.2 acre feet of water (an Olympic sized swimming pool is two acre-feet). This was a unique project for its kind for Marin RCD because there are so few crop farmers within the district, but the project’s success has increased interest in storage ponds as a viable solution to increase water security for farmers and fish. The point of diversion (POD) brings water from Pine Gulch Creek to the storage ponds when the when creek is flowing above 25 cubic feet per second. Temecula-Elsinore-Anza-Murrieta RCD is helping farmers use water more efficiently through upgraded irrigation systems, and switching to less thirsty crops. The Agricultural Efficiency Program and CropSWAP are both managed by their partner Rancho California Water District through funding from the California Department of Water Resources. The RCD in turn provides outreach, evaluations, and technical assistance to farmers throughout the process. 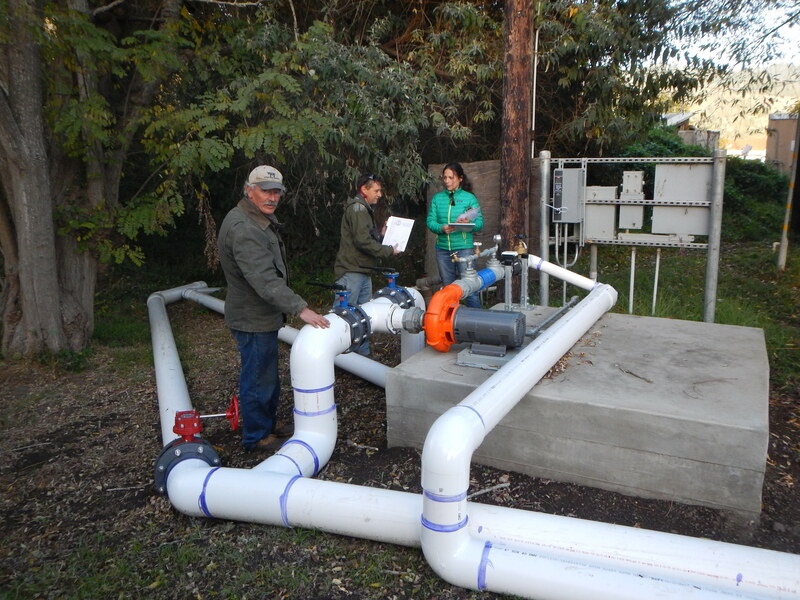 TEAM RCD performs free irrigation system evaluations and helps farmers apply for the Agricultural Efficiency Program, which provides rebates for up to 50% for upgrades to their irrigation systems. 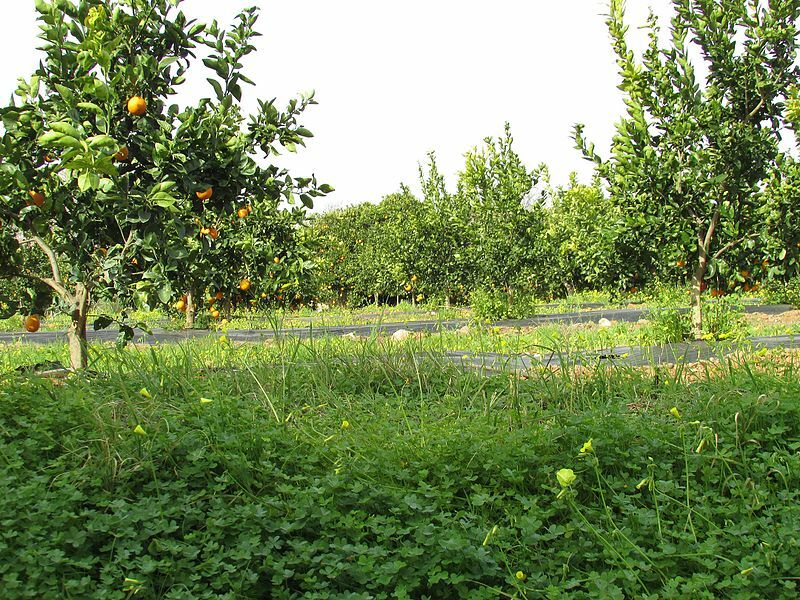 Modern technology like drip tape and microsprinkler irrigation systems are more efficient than traditional systems because water is delivered directly to the tree. The CropSWAP Program gives financial assistance to farmers for “swapping” at least two acres of irrigated crop to a different crop that will save at least one acre foot of water per acre per year. For most Southern California farmers in TEAM RCD’s boundaries, this means converting avocado production to citrus or wine grape production. In one case, a farmer chose to use the program to switch to dragon fruit. Farmers are committed to keeping new crop for ten years.